Need for Speed Rivals game that was released last month has got an add-on, which is absolutely free for all fans of this racing simulator. 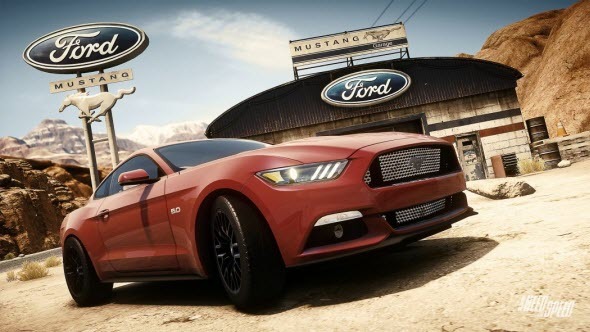 The pack will feature brand-new Ford Mustang automobile that is going to hit the market only next year, but is already available in the game. Ford Mustang is an iconic car that has been presented in Need for Speed franchise since 2005. This time you will be able to drive an automobile that hasn't come to the market yet. We would like to remind you that Rivals game has other Ford car - the one that will be presented in the upcoming Need for Speed movie. “We worked closely with the development team at EA to provide them with engineering data for the new Mustang, several months before we showed it to the rest of the world. Computer design models enabled the game developers to create an accurate representation of the new Mustang before it goes on sale,” Mark Bentley, product licensing manager at Ford, said. Also last week we reported about the similar deal between Gran Turismo 6 developers and BMW company.